1969. The company EBIE A. MICHAILIDIS S.A. is founded. After making a name for itself from trading in tobacco since 1886, the Michailidis family decides to branch out into frozen vegetables, in essence marking the birth of a new industry and establishing the Barba Stathis company. 1980: The two divisions of EBIE A. MICHAILIDIS S.A. become independent. 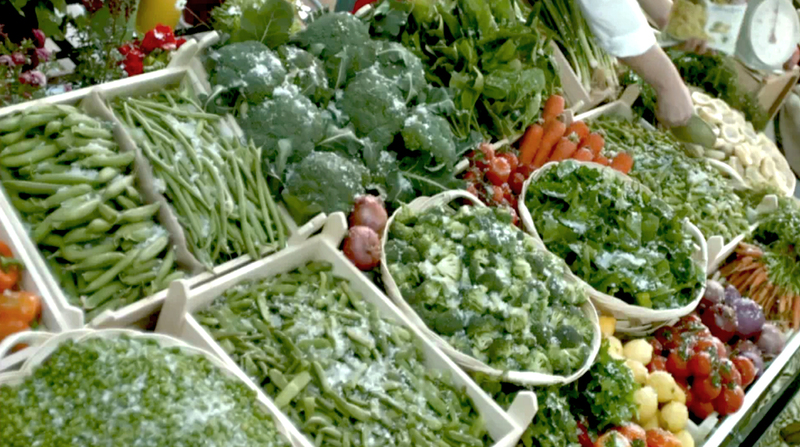 Frozen vegetables remain under the name “EBIE A. MICHAILIDIS S.A.” The frozen vegetable industry develops full force. 1990: On 20 October 1990, the Extraordinary General Meeting of Shareholders decided to establish Barba Stathis – General Foods S.A. with corporate headquarters in Thessaloniki. 1991: GENERAL FOODS S.A. – Barba Stathis is listed on the Athens Stock Exchange. The capital raised allows the company to expand into new industries and to develop further. 1999: General Foods – Barba Stathis S.A. acquire a majority stake in MAKEDONIKI SFOLIATA. In the following years, the frozen dough products division, with Chrisi Zimi as the leading brand, grow successfully and acquire a dominant position on the market. 2001: In partnership with HELLENIC CATERING of the GOODY’s Group, GREEN FOOD S.A. is established in order to produce fresh vegetables. 2002: The company increases its stake in ALESIS S.A. from 90.5% to 100%. 2006: Delta Holding merges with CHIPITA S.A. All subsidiaries are absorbed and VIVARTIA is created. General Foods – Barba Stathis S.A. becomes the Frozen Foods Division of Vivartia. 2007: Swap of a 49% stake in ALESIS S.A. (subsidiary of the Frozen Food Division) with a 49% stake in Μ. ARAMPATZIS–HELLENIC DOUGH S.A. The company dynamically enters the tomato product industry. 2011: The company decides to close down its vegetable producing plant in Bulgaria and to invest in the upgrade of its existing plant in Sindos, Thessaloniki. 2012: Barba Stathis S.A. acquires a 78% stake in Greenfood (a company producing fresh salads).